MTF: How often would you advise your clients to shampoo their hair? Fred: The frequency of shampooing is totally unique to each client. If you have dry, coarse unruly hair you should shampoo your hair less than someone who has thinner, silkier hair. I am a fan of only using shampoo when you absolutely have to. Shampoo less. I try to encourage everyone to take however much they are shampooing now, dial it back, and it will probably be in an improvement to your hair. When you are lathering your hair, in essence you are drying your hair so shampooing too much tends leads to a lot of drying and stress to your scalp and hair. MTF: Should clients use conditioner every time they wash their hair? Fred: For individuals with dry, coarse hair… absolutely. Now for clients with finer hair, they should use a conditioner that is formulated specifically for fine, limp hair, which doesn’t take away volume. MTF: How often would you advise a client who is trying to grow their hair longer to receive a hair cut? 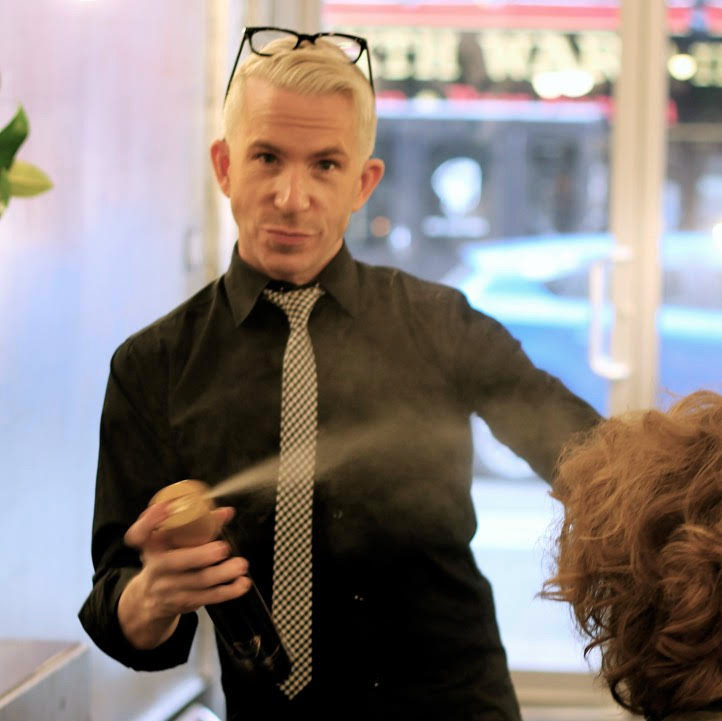 Fred: I would advise clients to dust their hair regularly, as opposed to receiving a full haircut. “Dusting” hair is a term used to only take off the very dead ends on the hair. The interesting part of dusting is that it takes as much time as a major hair change typically does because the stylist still has to go through all the hair but take off only the microscopic parts of it. It’s a way of cutting your hair to allow you to look like you haven’t lost any length at all and keeping your hair healthy. Dusting is basically going through every single strand on the hair and literally eliminating those ends so that the fragile ends don’t have an opportunity to split further. If you leave fragile ends on hair that you are trying to grow, it will seem like it will never grow because as soon as its grows a fraction of an inch it breaks a fraction of an inch. So you’ll feel like your hair is forever the same length. Regularly taking off the dead ends on your hair will optimally be healthy and allow your hair to grow faster. MTF: What 3 hair products would you recommend? Fred: Everyone is completely different in terms of what his or her needs are. An average person who colors their hair and possibly lives in an urban environment where there are a lot of environmental pollutants that do stress on our hair and skin, I would definitely recommend a hair mask. Hairs mask a very good thing for everyone to have in their beauty arsenal. I also believe that the right hair serum which helps add hydration and smoothness to all clients who either do blow-drying or air-drying. I’m also a fan of volumizers even on hair that already has a tendency to be full. MTF: Would you get mad if a client cheated on you and then came back to you? Fred: That doesn’t bother me at all. Clients are not my boyfriends. If I was still working with every client for the last 32 years I would be in trouble. That wouldn’t allow for new, younger people to come into my salon. No, I would never make my clients feel bad for coming back to me though. My door is always open. MTF: Describe your favorite client. 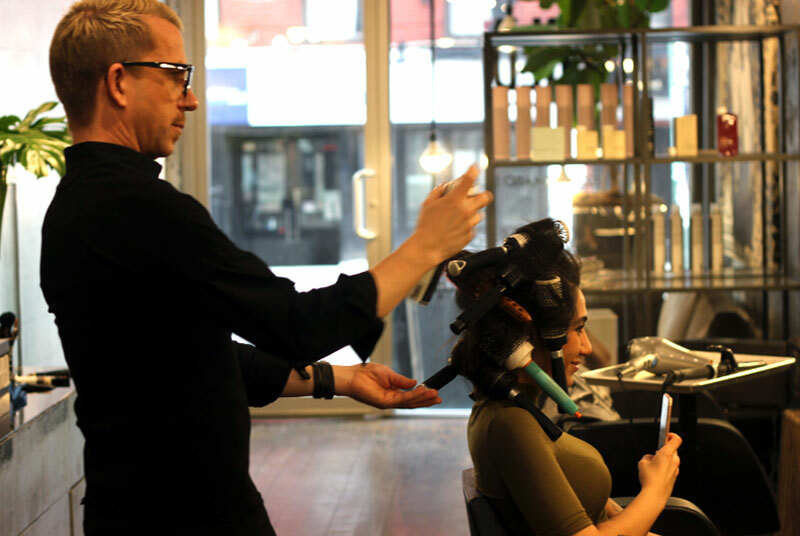 Fred: My favorite client is someone who is curious, open and understands that they may be good a lot of things, but I am good at this thing which is standing behind the chair and looking into the mirror and figuring out what is going to be the best direction for them to go in. A client who understands these values and respects that but is still curious and involved with this process. MTF: How has this NYC salon location been going for you? Fred: The lower east side is one of the most vibrant neighborhoods in Manhattan and it offers diversity and entertainment and great street life. Now with that, construction is dramatically transforming this neighborhood at rapid speed so we are seeing the neighborhood gentrified so quickly. It’s very rewarding but as the city is under construction the way New York City is, there will be challenges of course. MTF: Not only are you gifted with hair care but also you are also great with makeup. Why do you believe in minimal makeup? Fred: I believe that when people wear makeup, they should still look like themselves. I believe anyone can wear makeup if they do take this minimal approach. I often don’t consider myself to be a makeup artist because a makeup artist has the ability to transform one person into another and that is not what I am good. What I am good at is making people look like the best version of themselves. What I am good at is taking a person and making them look their best. I like to use as minimal makeup as possible for this reason. I like flawless makeup that looks that start with great skin. Thank You, FRED for this interview as well as a magical change of our expert into a celebrity model! 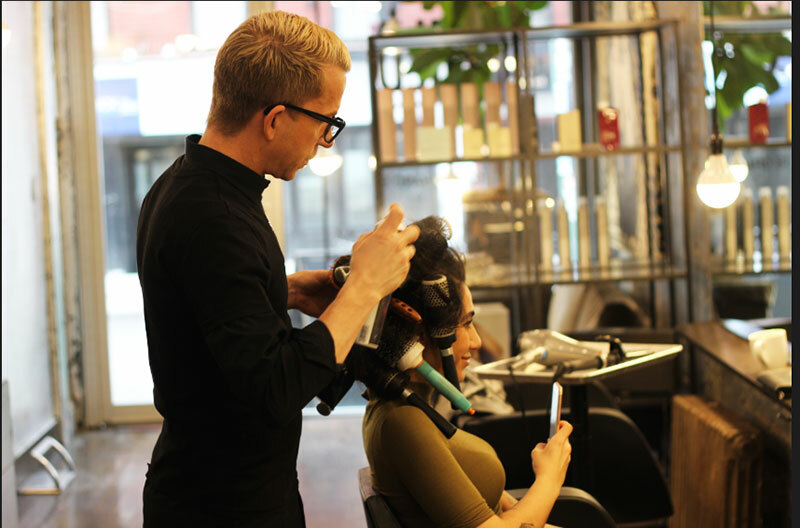 The services that MyTopFace Expert received are: Fred Signature Haircut, Makeup Application, Color Changing with Olaplex Treatment and a blow dry! Stay tuned and check our live quickly makeup tutorial using Fred cosmetics.